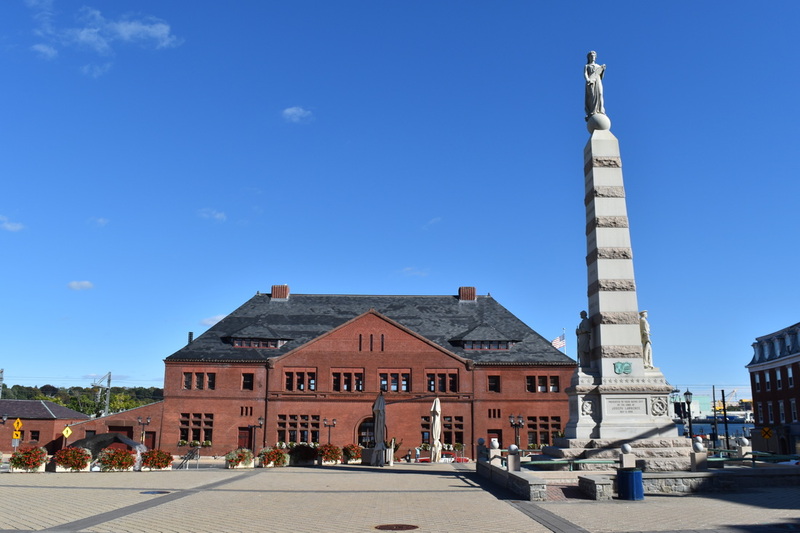 A one-day blitz through Connecticut over Columbus Day Weekend. 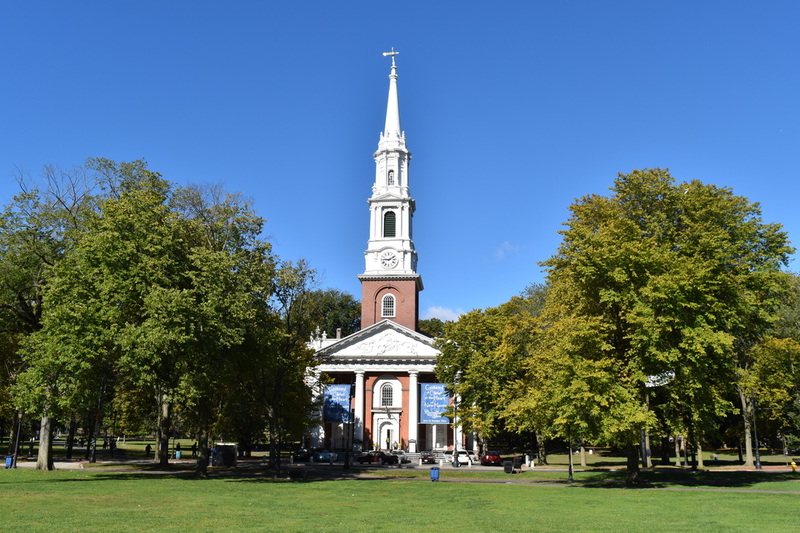 When I arrived in New Haven I wasn't sure if I was at a small New England town that was home to a prestigious Ivy League university or Trenton, New Jersey. 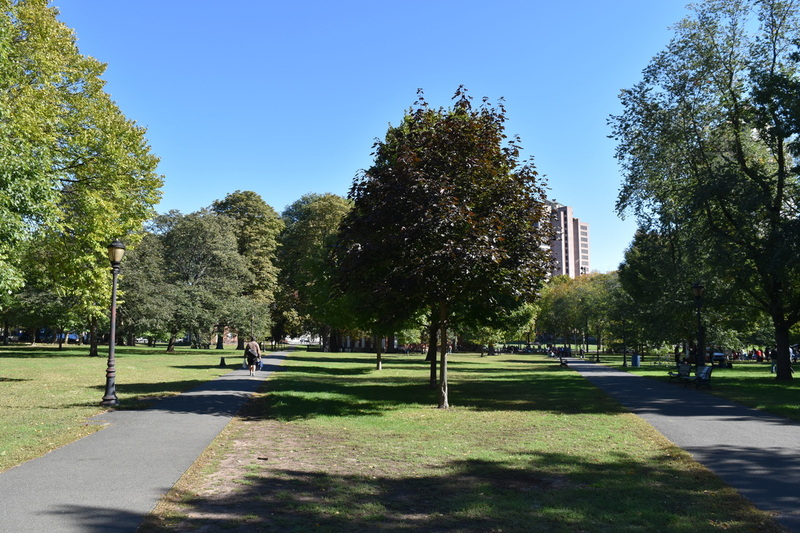 After parking my car on Church Street the one block walk to New Haven Green had the feeling that a mental health institution must be nearby. The collection of homeless was reminiscent of the crowd that hangs out during the early hours at the Trenton Transit Center. ​A cup of coffee at Willoughby's did little to change the initial impression. Instead of a quiet and cozy college student cafe it was a sterile, hard chair and table environment. Nothing to indicate that this would be a hangout for the great minds of Yale students collaborating over quantum physics. 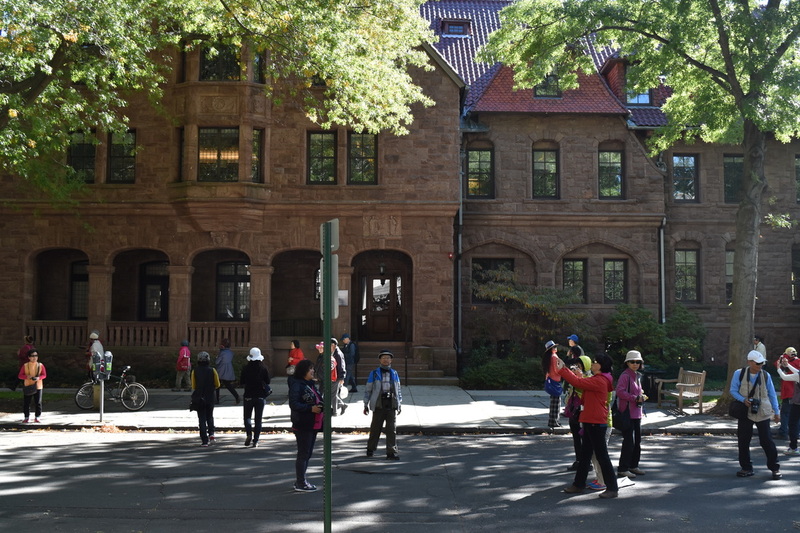 A walk along Hillhouse Street, that connects the old and new parts of Yale University, showcased the University's historical charm. 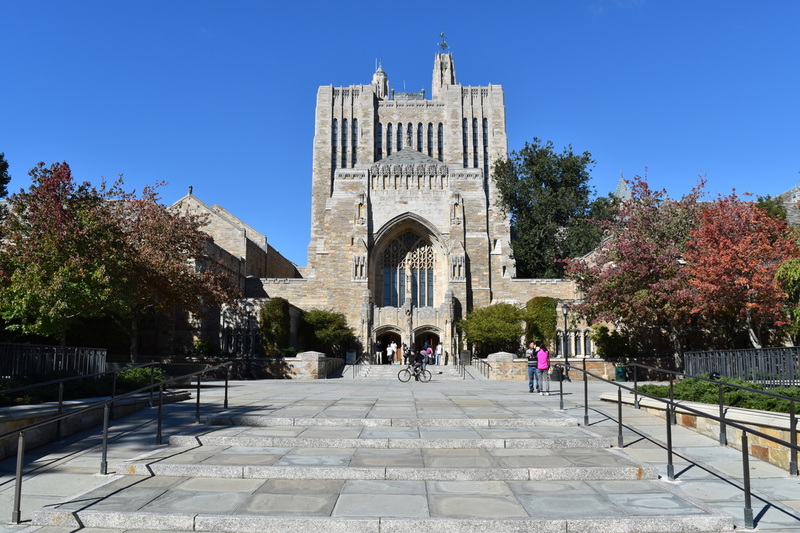 The University's Old Campus block and Beinecke Rare Book library are the highlights of a self guided campus tour - although if you wanted you could also tag along with a bunch of Chinese. There's wasn't much to the newer section other than the modern building that houses the School of Management. 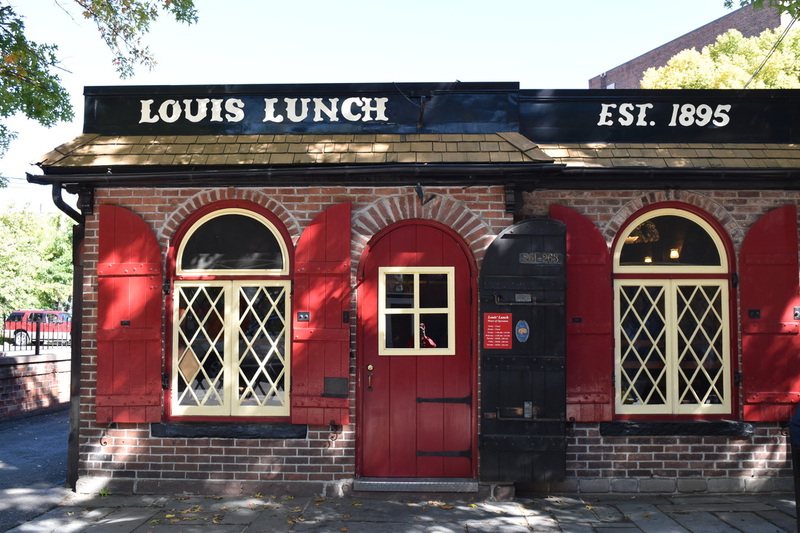 Louis' Lunch, which the Library of Congress recognizes as the "Birthplace of the Hamburger" is a five minute walk from Old Campus. Lines start forming ten minutes before opening and when I arrived a group of twenty Chinese tourists were almost enough to dissuade me from dining here and walk a block back to a Shake Shack. However, I consider myself a Burger Aficionado and if I was willing to drive across Los Angeles and deal with that city's traffic to find a good burger surely I could handle a short wait at Louis'. Louis' burger is the first and surprisingly it's never been exactly duplicated. Burgers are cooked in a standup grill, nine patties at a time. To the left of the grill is a toaster. 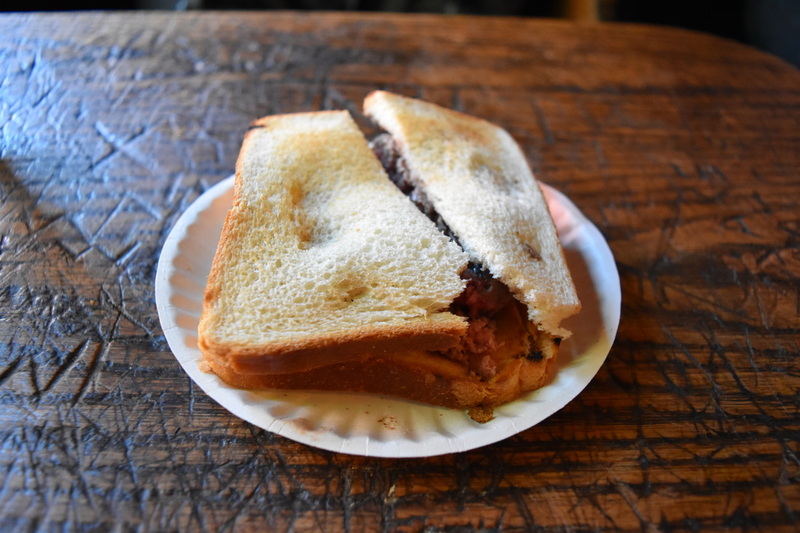 When both are done the handmade patty is placed between the toast, cut in half, and served sandwich style. Hamburgers are the only items served with toppings of either cheese, tomato, and/or onion - although a few side dishes such as potato salad are also available. Noticeably absent is ketchup which the restaurant believes detracts from the burger's taste. As for the taste...its distinct. The burger is cooked medium rare leaving it a bit pink on the inside and an inconsistent taste with each bite. Be sure to check the hours before you visit at Louis' Lunch Website. Still hungry (but primarily intrigued by a distinct style of pizza) I headed across town to Frank Pepe's Pizzeria. The Pizzeria is in the town's Little Italy section - it's nicer and more residential than the Yale University area. 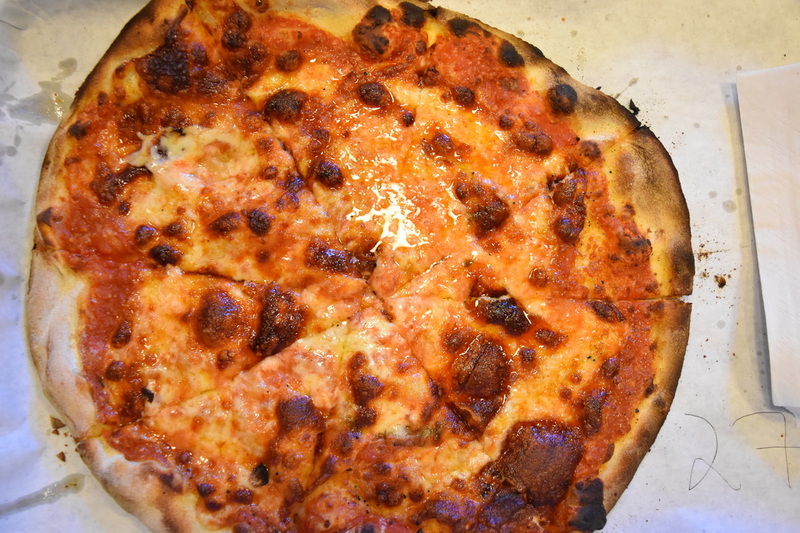 Unbeknownst until researching the trip, New Haven is apparently famous for pizza. One wonders whether that famousness extends beyond New Haven, however, it's clear from the line and cooked crust smell wafting through the air, Frank Pepe's must have a secret. The pies, called Apizza, aren't as a culinary distinction as Louis' Hamburger but it was worth the forty minute wait. 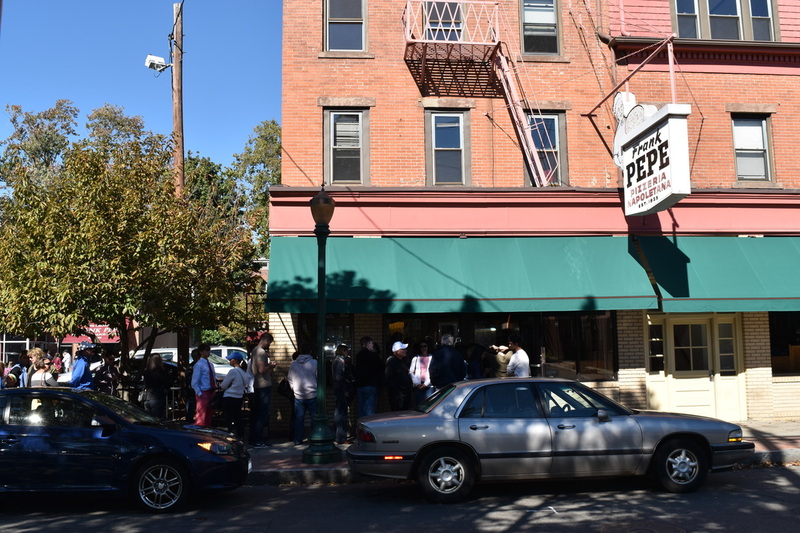 You need a large group to take advantage of Frank Pepe's Apizza. The small pizza, which was still 12 inches in diameter was impressive but the 18 inch large pizza with its more pronounced carved crust was the way to order and the house specialty. 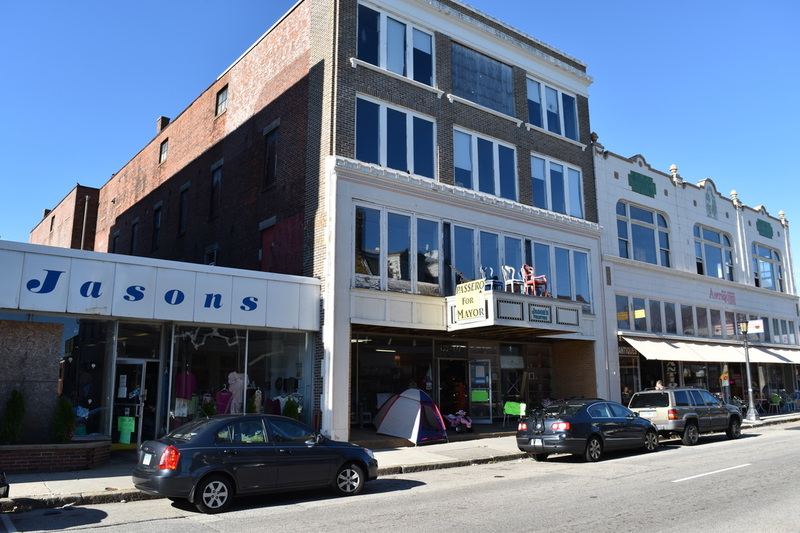 New London is worth the visit for what it lacks - tourism (at least in the Fall) and the commercial signs of modernity. 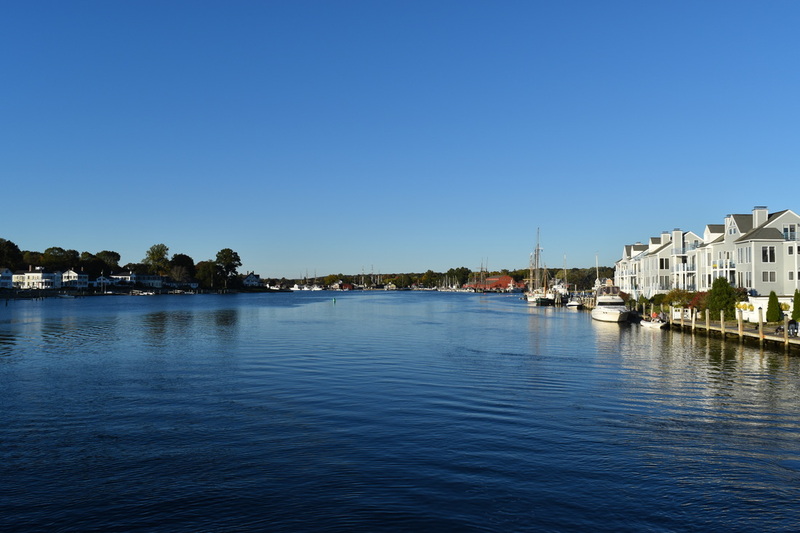 During the 1800s the city was the third busiest whaling port in the world (behind New Bedford and Nantucket). 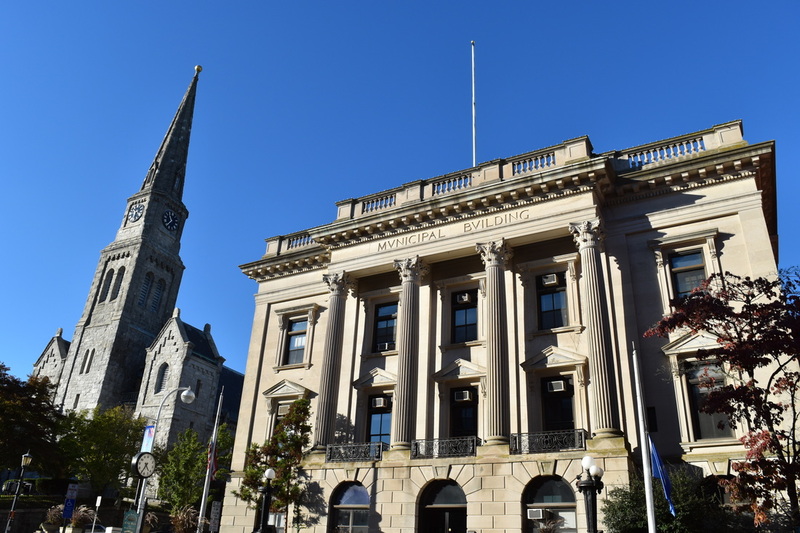 Wealth soon followed and the town's main streets remain lined with architecture gems - even Subway is in a cool looking building. When the blubber left so did the wealth and visiting New London feels like walking through a living museum. 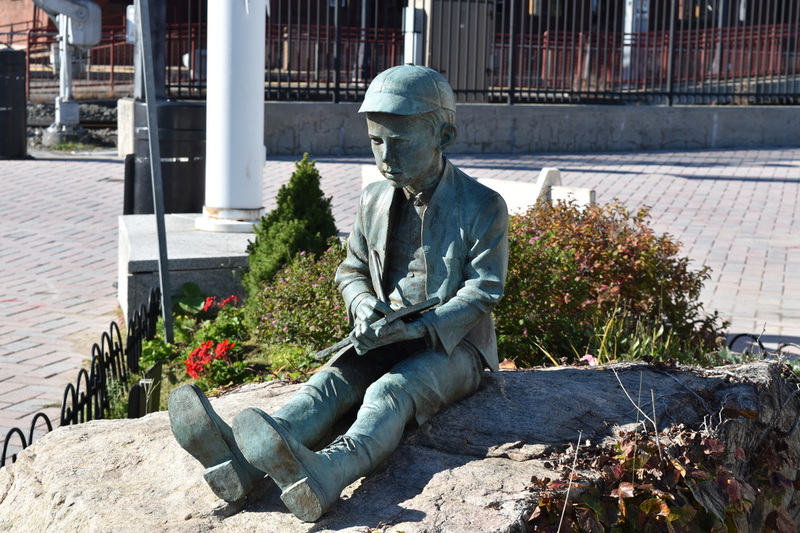 On a fall weekend afternoon there wasn't many other tourists around and I wondered if during the peak of summer if the port's grittiness is a turn off or on. Antique shops, bars, and restaurants line Eugene O'Neill Avenue and State Street. Most of the bars on Eugene O'Neill have outdoor patios with views looking out on the port. 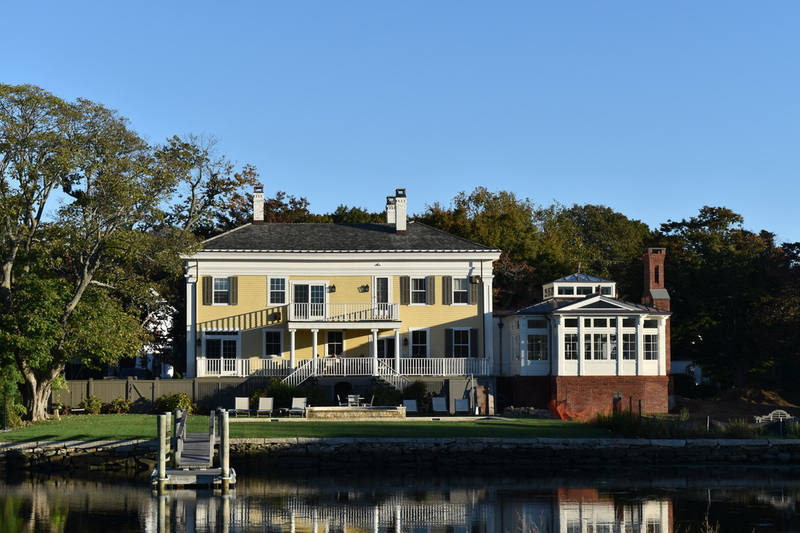 During his youth Eugene O'Neill spent his summers in New London and also wrote here during his adult years. 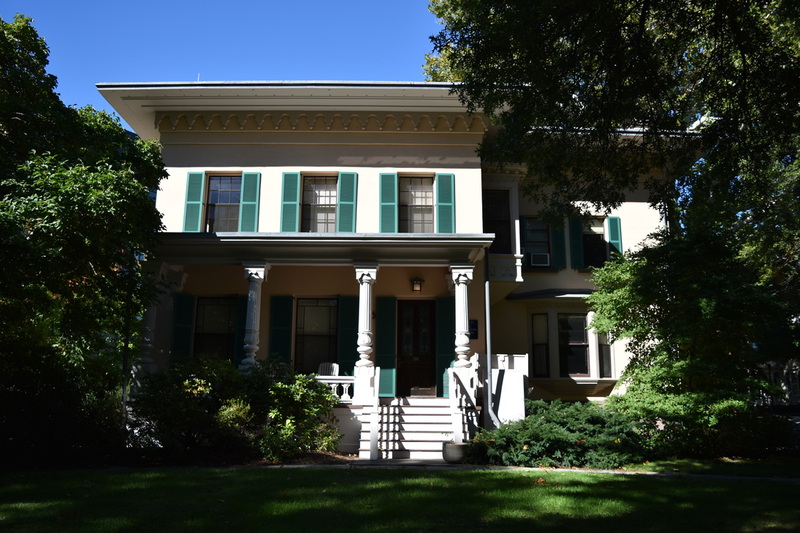 The Dutch Tavern is the only remaining establishment with an interior from the period of Eugene O'Neill's residency. 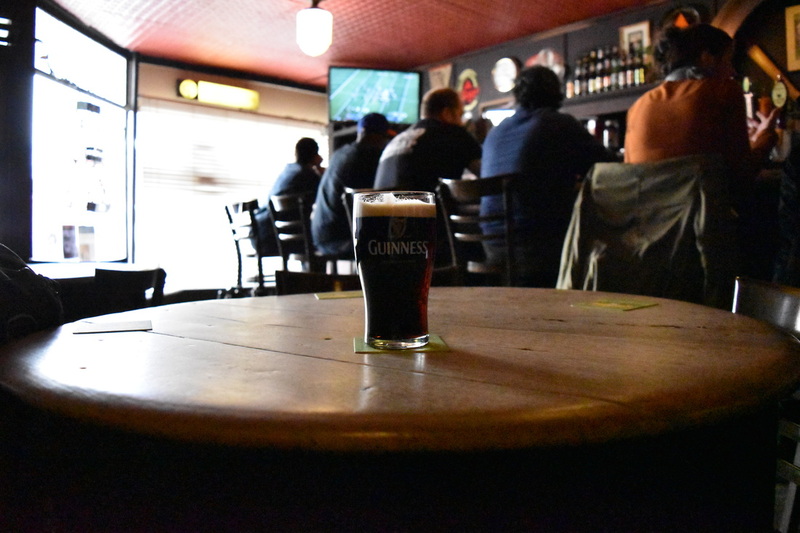 I ordered a Guinness and hoped for a spark of creativity. The main street has a wide arrange of cuisines - ten restaurants reflect ten different national culinary experiences. For additional Connecticut photos see FLICKR ALBUM.